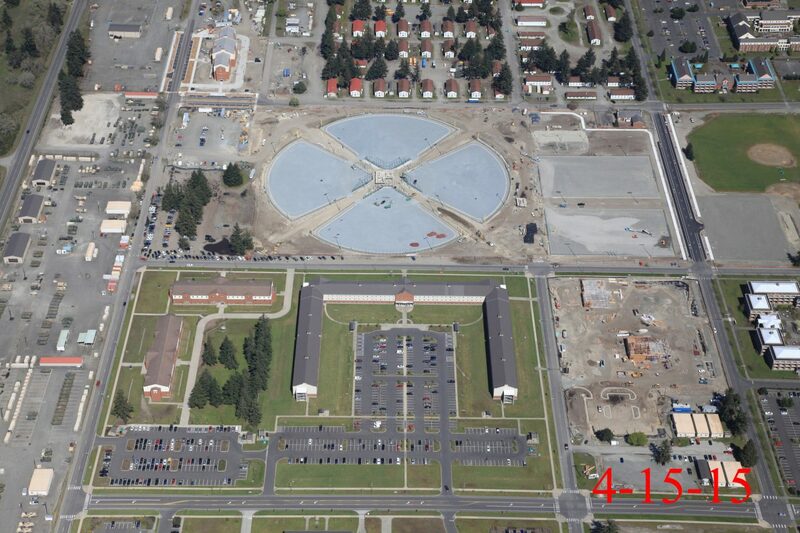 The beginning stages of the installation process are underway at McChord Air Force Base. Steve Halbert and the team at Worldwide Turf (Canada) Inc. have begun building the drainage layer, spreading the stone and creating the aggregate base that is required under the fields. Friday they will be laying the center line panel on the first field. Incredible aerial shot of the beginning work on the field installations. The aggregate drainage base is the first and arguably the most important step in the installation process. The turf will lay directly on the compacted aggregate base and allow water permeability, which is a great advantage synthetic turf has over natural grass…No rainouts, EVER! 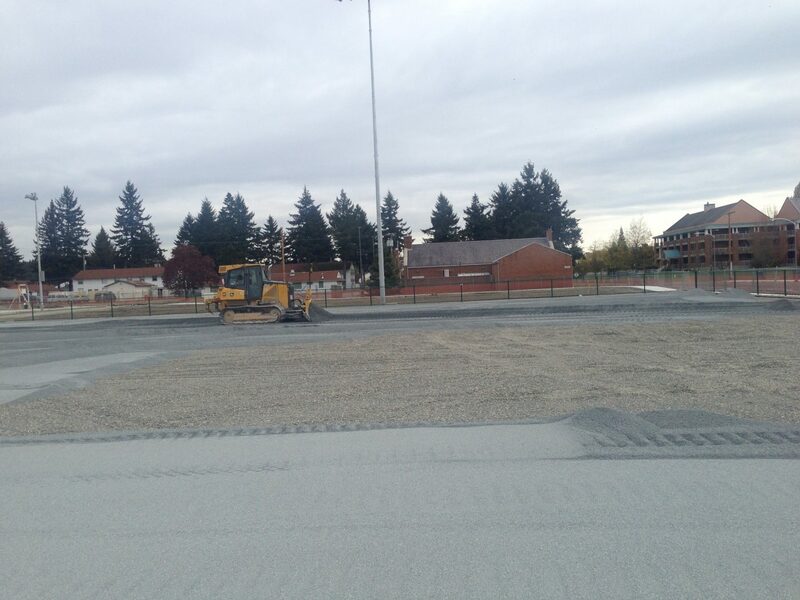 Once the compacted aggregate base is completed, the installation of the turf will begin! Stay tuned for updates on this exciting project for Sporturf™ and Worldwide Turf (Canada) Inc.